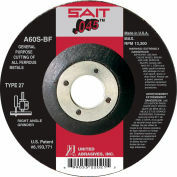 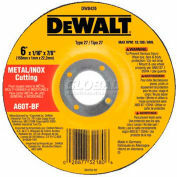 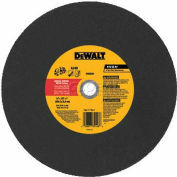 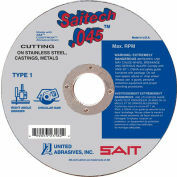 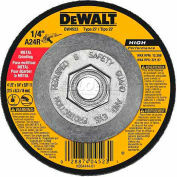 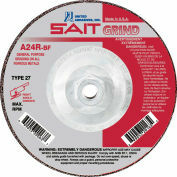 Type 1 thin high speed cut-off wheel, aluminum oxide grain. 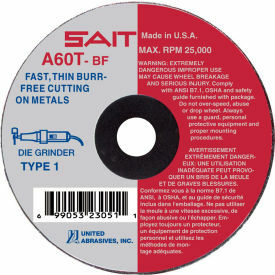 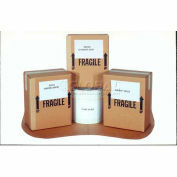 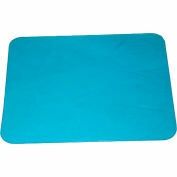 Burr free, hard bond for smooth cutting. 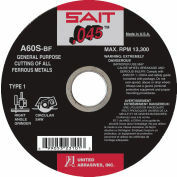 For use in nuclear, aerospace, automotive, foundry industries and plant maintenance. 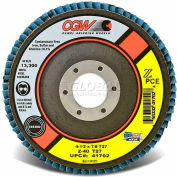 Externally reinforced with fiberglass layers to provide ultimate safety in a thin wheel.